I have had a lot of experience with paint colors…I’ve painted my kitchen 4 times! I did tons of research before I painted each color and I was sure I had found the perfect shade. Yet when I painted them they looked too blue or too taupe. Obviously light plays a huge part in how the color looks on your wall. I found it super helpful though to compare the colors to each other. In my search for the perfect shade these colors seemed to be some of the most popular Benjamin Moore greige colors. Wickham Gray obviously runs more blue and moonshine tends to run a little greenish. The classic grey looked very cement like on my walls and the Balboa mist was also very cool. For me the perfect color on my walls was Edgecomb Gray. Its like a darker version of white. Its perfect! My house has a ton of light though so that helps. I have a friend who has a darker house with less light and on her walls it looks more yellowish/brown. So for a house with less natural light Balboa Mist and Classic Gray might be the perfect choice. 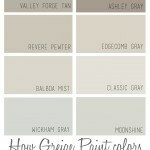 Hopefully this will help you if you are looking at paint colors for your home. What is your favorite paint color? I’m always on the hunt for a new colors! We are remodeling our kitchen and bathroom. Will be using Newport Pine flooring and Cabinets will be stained in Pickles Oak and clear lacquer. Very little natural light in kitchen, and none in bathroom. 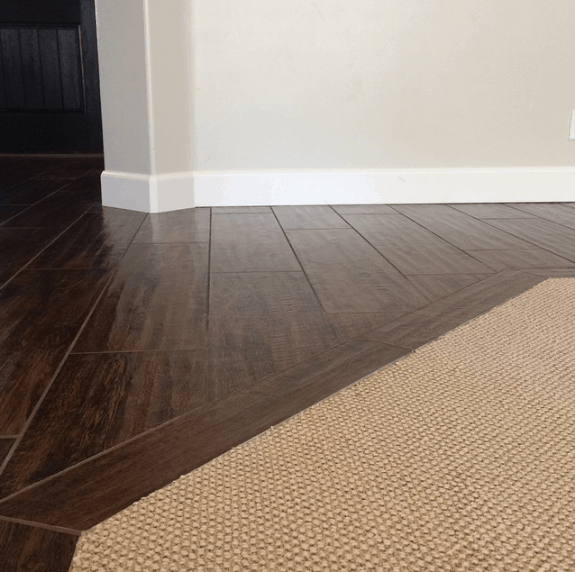 Want a colors that can carry over to living room later, which has a lot of natural light. Please help. Would like to stay with grey color scheme. So I am wondering which greige would look best next to redish brown stained trim. I’ve got a beige carpet on the stairs ,wooden floor . Can’t afford a new carpet, will grey walls and paintwork go with it . Also got a duck egg Sideboard any suggestions ? Lauren, Balboa Mist is a warmer gray. I have it throughout my home and love, love, love it! I just painted our powder room and master bedroom Wickham Gray. I love it. We used Feather Gray in the basement and it is a bit too blue. Wish I had used Wickham or Edgecomb. The kitchen will be next probably in Edgecomb. I’m glad I read your comment about Edgecomb Gray and the way light affects the color. I started to paint my bedroom this color and lost interest in it because I did not like the color. I just painted my kitchen Edgecomb Gray and love it. Now I’m thinking of taking it out to the living room. It’s soft, yet present. In the kitchen I paired it with Swiss Coffee on the cabinets and trim and a light gray marbley counter. The floors are old Doug fir floors that we are going to bleach and then finish. Soooo excited. Thank you for your post. 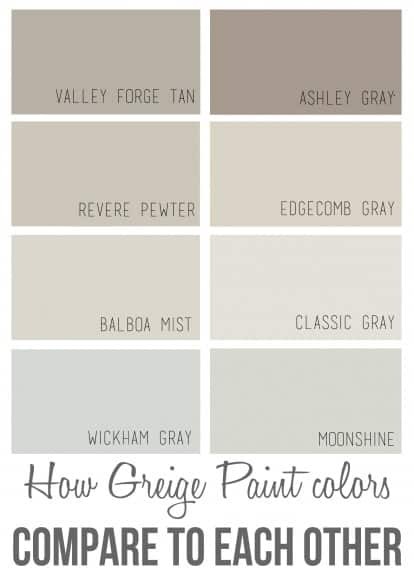 Choosing the right “grayish” paint color to transition from tan/beige colors has been difficult;know I need a “warm” base gray..have been doing much research. Ur posting was very helpful….back to the paint store to check out “grays” with more confidence! Need to make a decision & start my extensive paint project. I am looking to repaint the interior and LOVE these colors! Thanks for the posting!